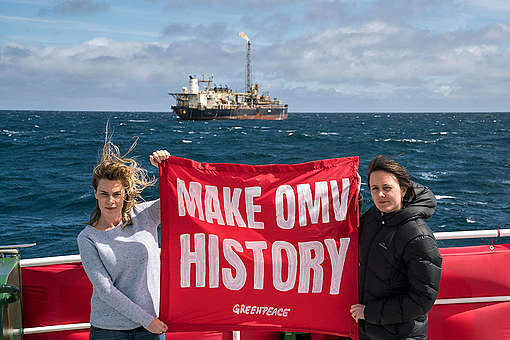 Greenpeace Executive Director, Dr Russel Norman, and climate activist Sara Howell, appeared for sentencing today following action they took to stop the world’s largest oil and gas exploration ship searching for fossil fuels off the Wairarapa Coast. Judge Arthur Tompkins in the Napier District Court reserved his decision on charges laid by the Petroleum and Minerals division of the Ministry of Business, Innovation, & Employment (MBIE), after the April 2017 action to confront oil and gas ship, the Amazon Warrior. Norman and Howell have pleaded guilty but are arguing for discharge without conviction. The pair say it was necessary and urgent to stop the Amazon Warrior searching for oil on behalf of Statoil, Chevron and OMV in order to protect people from climate change being driven by the oil industry. “As seas rise and extreme weather events become more frequent, we’re facing the reality that if we delay action any longer, the worst impacts of climate change for us and our kids will be unavoidable,” Norman says. “We love this planet and our kids, and we will continue to fight to protect them from oil companies that want to destroy a stable climate in order to make profits. 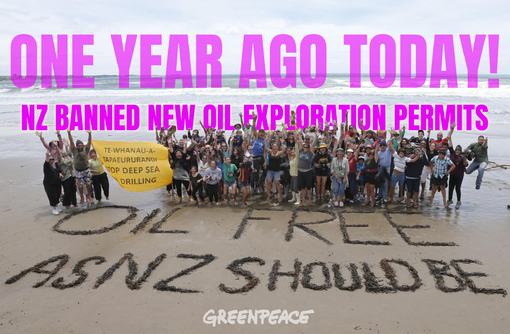 Charges laid against Greenpeace for the action were dropped by MBIE several months ago. The environmental organisation had crowdfunded a boat, Taitu, to confront the Amazon Warrior 60 nautical miles out to sea, and Norman and Howell swam in front of it, stopping it from searching for oil and gas for the day. A year on, the new Coalition Government made the historic decision to bring an end to new offshore oil and gas exploration permits on the basis that taking action on climate change is necessary and urgent. This was widely celebrated as a win for the climate, and for people power. High profile witnesses in the Taitu case, including the former President of Kiribati, Anote Tong; one of the world’s leading climate scientists, James Hansen; 350.org founder, Bill McKibben; and UN Intergovernmental Panel on Climate Change lead author, James Renwick of Victoria University provided supporting statements for Norman and Howell. Norman says the tide has turned irreversibly against oil globally. “All around the world we’re seeing a growing groundswell of people, communities, and governments standing up to the fossil fuel industry and taking bold action in the race to curb catastrophic climate change. We need this resistance if we are going to win this fight,” he says. Fellow activist, Howell, says it’s been encouraging to see how effective peaceful protest can be. “I needed to take action because all of the life on this planet – in its oceans, mountains, rivers, forests, and cities – is marvellous and brilliant. It is delicately balanced and too special to destroy,” she says. “Peaceful civil disobedience makes change happen. 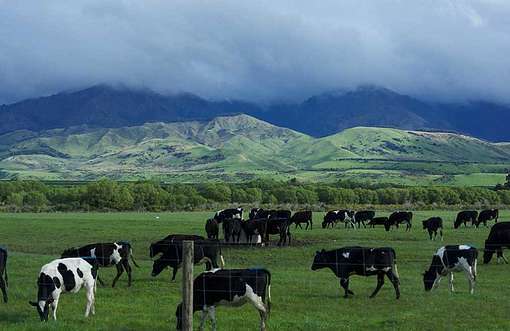 From Rosa Parks refusal to give up her seat on the bus, to the non-violent resistance to Māori land confiscation at Parihaka; history tells us that peaceful protest is not only necessary, but it works.